Many people these days simply don’t have time to do the cleaning – work and childcare frequently get in the way. So they choose to hire cleaning services instead, but unfortunately they may not always get what they pay for. We’ve created a list to help you understand exactly what you need from a cleaning service so you can hire the best people for the job. Do they have other happy customers? 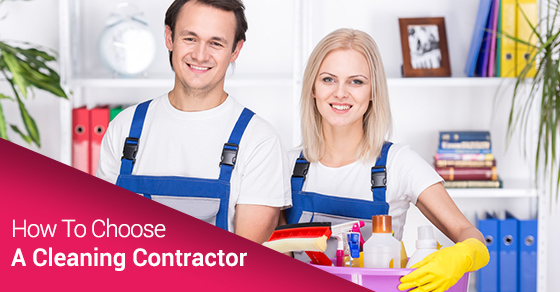 Ask your friends and family for cleaning contractor recommendations. If they rave about a particular company, look them up yourself! However, if you see any red flags when you Google them, reconsider – or at least email them with your concerns. If they aren’t, move on to the next option. Accidents can happen whilst a cleaning contractor is in your house, or things could be stolen. If the company doesn’t have insurance than all these things are your responsibility, rather than theirs. You don’t want to end up out of pocket. Do they check the backgrounds of their workers? If you have any doubts whatsoever, contact the company to ask them what background checks they give to their cleaners. This is doubly important, naturally, if you have children or pets in the house. If you feel you haven’t gotten a good enough answer from the company, cross them off and move onto a different one. What kinds of chemicals do they use? People and pets in your household may be allergic to common cleaning products, but a good cleaning company should know what’s in all the products they use, and be able to advise you accordingly. Make sure you’re getting exactly what you’re paying for, and that you know upfront what that is. If you’re going to be the one providing cleaning products, for example, you need to know that beforehand and not the moment they turn up! Is the company easy to contact? Do they have a website, email and telephone number – or, at the very least, a telephone number? Do they pick up when you call? If their lack of communication makes it difficult for you to arrange times/cancel their services for the day etc, it may be time to find a different company. How are they with security? Cleaners are often given keys to the house, so you need to know for certain that the cleaning contractors will be careful with them. Ask to see any written policies they have in place regarding the use of keys. The Sunrise-Cleaning team is confident that we have everything we need to get the job done to any standard! Contact us today to find out what our cleaning crew can do for you.